The First Responder Network Authority (FirstNet) was created on February 22, 2012, under the Middle Class Tax Relief and Job Creation Act. FirstNet is an independent authority within the U.S. Department of Commerce's National Telecommunications and Information Administration. It is governed by a 15-member Board consisting of the Attorney General of the United States, the Secretary of Homeland Security, the Director of the Office of Management and Budget, and 12 members appointed by the Secretary of Commerce. The FirstNet Board is composed of representatives from public safety; local, state and federal government; and the wireless industry. These dedicated individuals bring their expertise, experience and commitment to serving public safety and meeting the FirstNet mission. On April 27, 2015, FirstNet issued the First Responder Network Authority's Special Notice draft RFP which explains the proposed design and operation of the Nationwide Public Safety Broadband Network (NPSBN). The Draft RFP is extensive and covers many key areas that will be essential in attracting and choosing partner(s) to build out and operate the network. Comments were due on July 27, 2015. 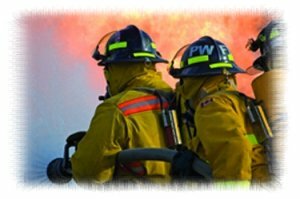 As a reference and resource tool to the Public Safety community, NPSTC Comments, along with responses from ​Public Safety and Stakeholder Organizations, as well as relevant submissions from individuals with a public safety background are posted below. To learn more about FirstNet go to www.firstnet.gov. For "All Things FirstNet" go to www.allthingsfirstnet.com.